THIS MIGHT JUST BE THE MOST PERFECT FARMHOUSE IN DESOTO COUNTY. 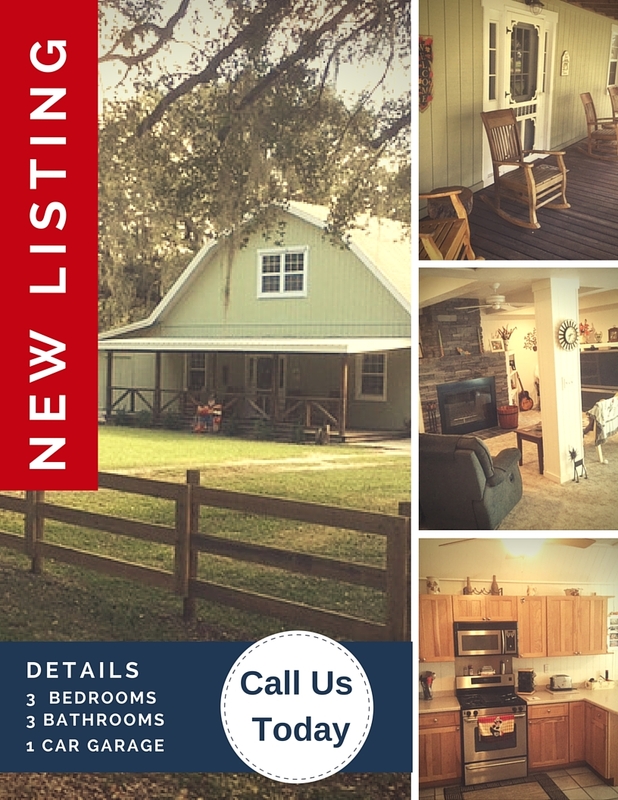 COMPLETELY RESTORED, COZY AND UNPRETENTIOUS, EXACTLY WHAT COUNTRY LIVING IN A FARMHOUSE SHOULD BE. With over 2900 SQ FT of living area consisting of 3 master suites, family room with stone, wood burning fireplace, huge open kitchen with solid surface counter tops and pecan cabinets, den, library, 17 x 25 loft with wet bar and pool table, storage galore, 2 ac units, 14x24 screened lanai, cracker style front porch for the perfect swing and/or rocking chairs, outdoor open kitchen area with built in smoker, stainless cabinet top and sink, entertaining/campfire area with built in seating and custom fire pit for roasting hot dogs, marshmallows and spending time with friends and family, huge beautiful grandfather oaks, board fencing entrance, fenced pasture for your animals, amazing barn that has plenty of room for all the toys, workshop/storage room for all your tools and lawn equipment and all of this sitting on almost 3 acres. This home is such a BEAUTY that it may just warrant a double take. Though this farmhouse is GRAND in size it is COZY just the way it should be. PACK YOUR BAGS--because this COUNTRY MASTERPIECE is on the market and I am betting she will not last long!